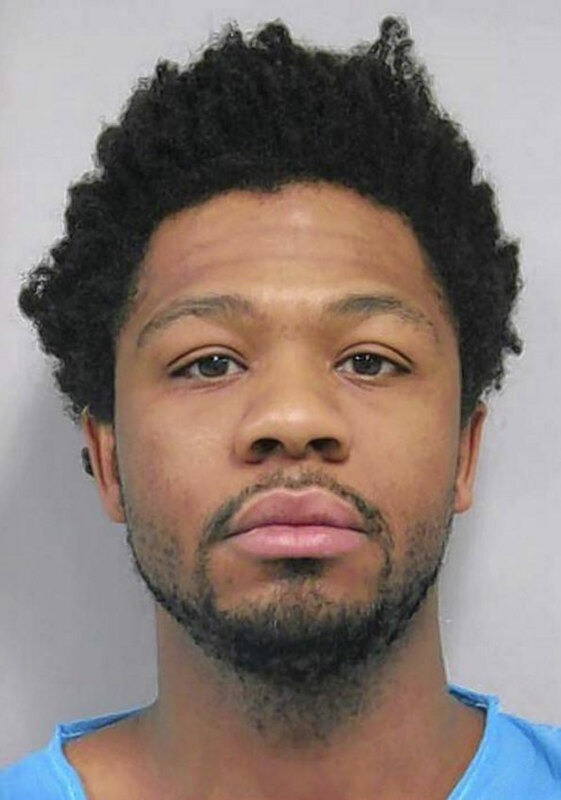 Palatine police have announced the charges involving a 31-year-old Palatine man, who police say stabbed two men during an argument in his apartment Sunday night about 10:00 p.m.
Duronn Adonis Fields, 5’7″ 155 LBS, who lives in an apartment in the block of 1300 East Wyndham Circle, was charged Tuesday with two counts of felony aggravated battery. His bond is scheduled to be set today at the Rolling Meadows Cook County Circuit Court. Palatine Police officers responding to a 9-1-1 call from the apartment just after 10 p.m. Sunday found the stabbing victims. Firefighter/paramedics were dispatched to the scene about 10:20 p.m.
A police investigation determined Fields punched one man in the face, then used an 8-inch steak knife he had in his pocket to stab both men. Fields stabbed one man twice in the back and he stabbed the other on the right side of the torso. Palatine firefighter/paramedics rushed both male victims to Level I Trauma Center Advocate Lutheran General Hospital in Park Ridge. One man was hospitalized in stable condition, and the other man was treated and released. Initially there was a report that a third man was injured. A Buffalo Grove paramedic crew, dispatched in addition to two Palatine Fire Department paramedics crews, reported a transport to Level I Trauma Center Advocate Condell Medical Center. The Condell transport was not confirmed by police. There was a second crime scene nearby at 1275 Baldwin Lane in front of the San Tropai condo building. Blood was washed down from the lawn near the driveway at that scene. According to a Palatine Police Department news release this morning, Fields fled the apartment after the altercation, and was quickly apprehended by police. It was not confirmed if the offender was apprehended at the San Torpai building driveway or at another location. Duronn Adonis Field, stabbing suspect (law enforcment photo). VIDEO: Crime scene cleanup near 1275 Baldwin Lane where multiple stab victims were initially reported at 1262 Wyndham Circle, just northeast of this location. Most or all police units left the scene and crime scene tape was taken down by 12:45 a.m. Monday. Wyndham Circle down the street to the left, and Baldwin Lane down the street to the right.